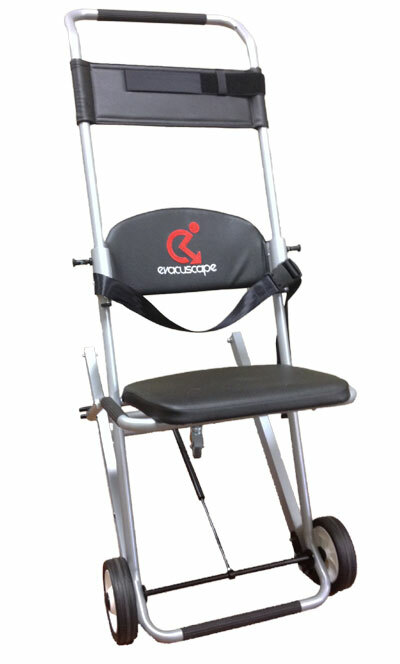 Evacuscape is a Canadian owned and operated company that specializes in providing evacuation chairs that ensure safe evacuations during an emergency. Evacuscape’s chairs enable Persons with Reduced Mobility (PRM) or anyone else in need to have a reliable and safe way for evacuating buildings or homes in the event of an emergency. The Evacuscape chair complies with section 125, part 2 of the Canadian Labour Code of Canada (see legislation) allowing your building or company to be appropriately equipped. Evacuscape is dedicated to the concept of universal design which is described as a way to create products and environments that are usable by everyone, regardless of age or ability. Universal design gives way to the idea of universal fire safety which is concerned with the fast and safe evacuation of persons with reduced mobility or disability from a building in the event of an emergency. Evacuscape provides a high quality, low price product that allows businesses and buildings to be socially responsible by creating a safe and equal environment for everyone.